The term interstitial pregnancy is often used as a generic term for ectopic or corneal pregnancies, but the three types of pregnancy are not the same. The interstitial is the spot where the fallopian tube comes in contact with the wall of the uterus at just the point where the endometrial cavity starts. When a pregnancy implants here it is called an interstitial pregnancy. How Often Does Interstitial Pregnancy Occur? It is estimated that up to 4% of all tubal pregnancies are interstitial. The outcome is always loss of the fetus, but that is to be expected of all tubal pregnancies. What is more important is the fact that about one out of every 50 interstitial pregnancies ends in maternal death. Women with a history of tubal or ectopic pregnancies are at higher risk for future pregnancy complications, including interstitial pregnancy. If a previous interstitial pregnancy was diagnosed and repaired (the implanted egg will need to be removed), doctors will watch the pregnancy closely; paying particular attention to the implantation spot in reference to the surgical scar. 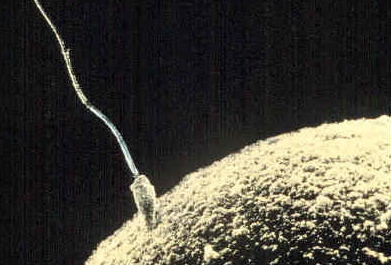 When a fertilized egg implants in the wrong place it must be removed to prevent complications, including maternal death. With interstitial pregnancy the risk of death is seven times higher than it is with a typical ectopic or tubal pregnancy – so treatment is crucial. During pregnancy the area where the egg has implanted in flooded with blood, which makes surgery dangerous. In some cases doctors are able to remove the pregnancy using a small incision and camera-guided tools. In other cases a hysterectomy is required to prevent maternal death. Interstitial pregnancy is rare but when it happens, the risk of maternal death increases exponentially. If you have a history of tubal pregnancy it is important to contact your obstetrician as soon as you find out you’re pregnancy for an ultrasound to ensure implantation has occurred in the proper location. Reference: Nash S. Moawad, Sangeeta T. Mahajan, Michelle H. Moniz, Sarah E. Taylor, et al. American Journal of Obstetrics & Gynecology. January 2010. Previous: What is a Ruptured Ectopic Pregnancy?